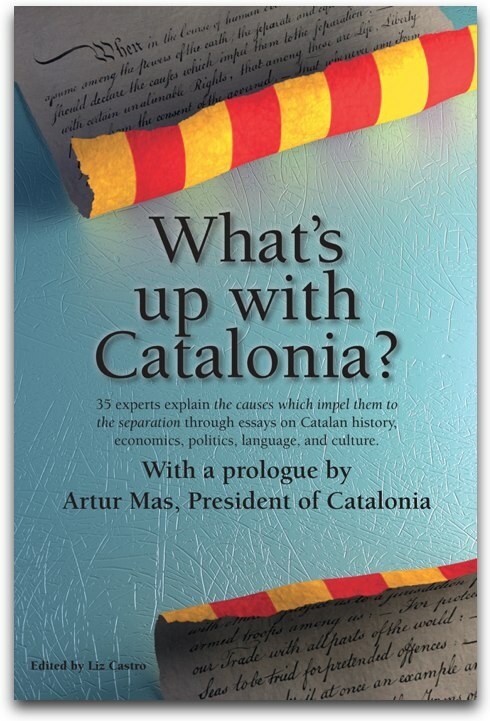 Artur Mas, the President of Catalonia, sent a letter to Spain's Prime Minister Mariano Rajoy on July 26, 2013, officially proposing negotiations to hold a referendum on independence for Catalonia. Here is my (very quick) translation into English. You can read and download the original letter (in Spanish) on 324.cat. The Catalan people's desire for self government is well known, and has been both demanded and exercised over the centuries. In the current democratic period, begun at the end of the last century, said desire was initially channeled through the Statute of Autonomy of 1979. The Catalan Parliament passed a new proposal for a Statute of Autonomy in 2005 which was approved first by the Spanish Congress in 2006 and finally via referendum by the People of Catalonia. My personal involvement, although I did not act in an official capacity of the Government at that time, was, as is well known, during the entire negotation, to facilitate Catalonia's place within Spain. The later ruling from the Spanish Constitutional Court diluted and to a large degree annulled the democratic will of the Catalan people expressed at the ballot booths, and gave firm evidence that it was impossible to continue developing Catalonia's self-government in the way it had up to that moment. More recently, during the previous legislative session, the negative answer to any kind of negotiation with respect to a proposal of a Fiscal Pact, promoted by the Government of the Generalitat and approved by a wide margin of the Parliament of Catalonia, proved, once more, the Spanish State's inability to answer the proposals presented by Catalonia. This blockage along with the most widely attended demonstration in the history of Catalonia last September 11 brought me to the conclusion that I must call snap elections so that Catalonia could freely and democratically decide its political future. These last elections to the Parliament of Catalonia resulted in wide popular support, with a very high turnout—indeed the highest turnout in the history of this kind of elections—to various political powers which presented in their electoral platforms the need to exercise the right to decide. The Parliament of Catalonia has demonstrated on various occasions during the present legislature, and with super majorities, the Catalan People's support for the right to decide and has established a mandate for dialogue and negotiation with the Government of Spain and with the objective of holding a democratic referendum. The recent constitution of the National Assembly on the Right to Decide demonstrated, concurrently, the wide support that this movement has among institutions, commercial and social organizations, and the civil society all throughout Catalonia. The Advisory Council for National Transition, an organism created by the Government of the Generalitat and which is formed by distinguished members of our community, argues in its first report that there are legal methods that would allow such a referendum to be held. Because it is a high quality report whose content is of certain interest, I will take the liberty of making a copy available to you within a few days. It is for all of the above that I believe there are favorable conditions for celebrating a referendum in Catalonia: widespread citizen and parliamentary support, the will to dialogue and negotiate, and the existence of legal frameworks in which it may be held. I understand that when these circumstances occur, most certainly a product of a long historical trajectory that I described at the beginning of this letter, it is the duty of the public governmental representatives to forge the political will that would allow for a response to the legitimate, peaceful, democratic, and majority-held aspirations of a people, in our case, the Catalan people. In our last meeting, I suggested that a political response to the Catalan people's democratic demands would be necessary. Today, I reiterate that to you in writing, with the same spirit of dialogue and negotiation as was present in our last meeting. I am aware of your position against the celebration of a referendum, as you told me at our last meeting. Nevertheless, I understand at the same time that other countries—also in the European Union—have found ways of solving these kinds of challenges and realities democratically and legally. Spain should not be the exception to the rule. Therefore, I express once again the need to open a dialogue and negotiation that would allow a celebration of a referendum of the People of Catalonia, in the shortest timeframe possible, within the legal framework that we establish. Pep Guardiola: "Leave me alone"